Chickens have full-colour vision, just like humans do. At some point, just like humans chickens can become a bit under the weather from time to time. It’s natural when caring for chickens that at the slightest change in a chook can send many keepers in a flap. From time to time you may experience a soft shelled egg. This tends to be more common amongst young pullets and is caused by the egg passing through the hens system too quickly thus not allowing the shell to harden. If it becomes frequent, it may be that the hen is lacking calcium in their diet or vitamin D which assists calcium absorption. I have 2 ex-farm hens who lay massive eggs but the shells have never been great in quality and it’s these two that lay the soft-shelled eggs quite occasionally. As I have not experienced this in my hens to date here are a few tips I have picked up from reading various literature and scouring websites. Bake your left-over egg shells in the oven, crush them up and add to the hens feed. Baking the shells, kills off bacteria and make sure you crush the shell to a point where a hen would not recognise it as part of a shell or she may end up trying to break eggs. You can purchase calcium supplements from most livestock stores. I’ve used Davinova C before and have noticed improvement in the quality of the shell. Increase the amount of oyster shell and limestone in their diet. This is usually found in their grit but you may not be adding enough to meet the hens requirements. Recent tests have found that hens require one hundred times more calcium when they’re in lay than when they are off. You can buy limestone flour from most livestock stores and online. It can be adminstered by sprinkling it into the feed occasionally. An egg bound hen is a rarity but it can happen. An indication that a hen may be egg bound would be the frequency with which the hen visits the nest box without laying and may appear to be in distress. The egg can become stuck if too large and the hen is unable to pass it. Hold your hen’s behind in warm water to help the muscles relax. The water should be only a touch warmer than blood temperature. Feed a few drops of warm olive oil into the hens mouth to improve lubrication. Hold you hen’s behind over steaming hot water but be sure not to scald her. Massage your hens undercarriage being careful not to crush the egg but to ease it towards its exit. The final tip, I believe shouldn’t really be done by anyone other than an experienced vet. You can attempt to pierce the egg and allow the contents to pour out and hopefully the shell will pass through. This practice is very risky as the contents could end up sitting inside your hen, cause infection and end up killing the bird. This technique if not done correctly can cause the hen great distress which may result in her having a heart attack and dying. One of the hens I got from the farm that sometimes lays soft-shelled eggs arrived with a massive bald spot on her neck, under-carriage and bottom. I assumed that the feathers would grow back now that she was in a better environment. However my existing hens discovered the feather pecking habit and began to peck the odd feather from her. I’m assuming that hens tend to be quite inquisitive but not that bright and were intrigued by this red patch of skin on the hen and so decided it’d be good to peck. After a while I realised her condition was not improving and as winter was on it’s way, I decided she needed a hand to ensure she had enough coverage to keep her warm in the cooler months. Hens can sometimes peck feathers if they are lacking protein but as mine have a good basic diet consisting of layers mash, worms, slugs and the occasional cheesy treat I ruled this factor out. Bumper bits. These are small plastic rings which clip into the hens nostrils and wrap around the top part of their beak which prevents them from closing their beak fully. It’s completely humane, looks horrific but the hen can eat and drink without difficulty. They’ll have a good go at trying to remove it though! Attach one to either all the hens if you’re not sure who the feather pecking culprit is or to the guilty party. It’s usually a 2 person job. Gentian violet. This is a herbal treatment which you spray on the balding areas. It hides the bare red skin, tastes terrible for hens but be warned and wear gloves and protective gear as this really does stain your skin and clothes. I ended up with dark purple hands for 3 days after first applying this to my hen! I find it best to paint it on with a paintbrush rather than spraying. Gentian violet is also an antiseptic and can be used to treat minor wounds. Anti-peck spray. Again this tastes foul to the hens and is best applied in dry conditions and rather liberally. I’ve used this in conjunction with the gentian violet and it’s worked for me. Stockholm tar, smells terrible but apparently works well. I believe this should be used in severe cases as it pretty much sticks to the hen for months! It’s pretty much inevitable that at some point in the year your hens will attract these little critters especially if they free-range. Red mite usually come out at night and will run along the perches and onto the hens. Then when it’s daylight they scurry off into the cracks and crevices of the coop again. Red mite, lice and fleas all like the nest boxes so it’s best to change the bedding frequently. They’re more active in the warmer months so keep an eye on your hens. If they appear to preen themselves a lot or if they go off lay, these little pests may be the cause. Your hen may also look jaundiced due to the loss of blood taken by the parasites. You can buy anti-lice, mite, and flea powder online or from most livestock stores. After changing the bedding in the nest boxes I squirt a blast of the powder onto the bedding. Replace the perches around 2-3 times a year. Make sure your hens have access to a dustbath as this is how they keep themselves clean. They’ll either create one themselves in a big plant pot or flower bed. If they don’t have access to either you can fill a plastic tray with non-toxic play sand mixed with soil and sawdust. If they have flea, mite or lice you can add the powder to the dustbath and the girls will apply it themselves. Treat each hen individually. Wearing gloves, pick up the hen (you’ll need 2 people to do this) sprinkle the powder on the hens back and try to ruffle the feathers up to ensure it reaches the skin. Target under the wings also and be careful not to get it in the eyes. This is also caused by parasites who crawl under the scales of the legs of the hens causing them to lift. In serious cases it can cause the hen to become lame and unable to perch. It’s with this reason that scaly leg should be treated ASAP before it becomes serious. Regular checks on the hens legs will allow you to spot this problem early. The hen may appear to be pecking at her legs due to the irritation and may also appear listless. Plaster the hens legs in vaseline. This smothers the parasite and soothes the legs. you can apply surgical spirit by painting it onto the legs and repeating the process once a week for around 5 weeks. You can use liquid paraffin and again apply by painting it onto the legs. You should worm your hens regularly as it is better to prevent this than having to cure it. However some say de-worming a healthy hen weakens their system and un-balances the natural amount of bacteria in the hen. In my opinion you should ideally worm hens every 4 to 6 months but keep an eye on the droppings incase you spot any signs of worms appearing. I use a product called Verm-X and you can get it in different forms like pellets and liquid. You can get other worming products that come in a powder form which you add to the hens feed. I began using this but then turned to the liquid version as the hens tend to scatter the feed and I couldn’t be sure whether they were getting the right amount of worming formula. Hens suffering with worms will appear listless and have green diarrhoea and you may even spot a worm in the droppings. You may see a drop in the hens weight and condition and their egg shells may be of poor quality. Worming products like Verm-X and Flubenvet. Using these 2 products there’s no need to remove the eggs for consumption. Supply a regular dose of cider vinegar in your hens drink as it’s a natural wormer and antibiotic. Feed purified carrot occasionally as this causes the hen to purge their insides and flushes any nasties they may be harbouring. Raw, ground hulled pumpkin seeds apparently paralyse the worms so they can’t cling to the hens intestine. Once you have given the hens the pumpkin treatment you could give them some pureed carrot to flush the worms out. Verm-X and Flubenvet also help to treat worms. 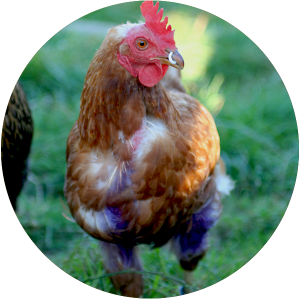 This site has been designed to offer tips, advice and a guide to keeping hens. 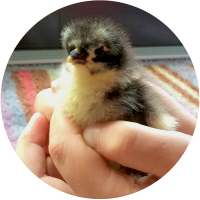 When I started out on the daunting task of preparing for life as a hen keeper (for eggs and as pets) I struggled to find information on the web and often found myself submitting questions on hen keeping to numerous forums. I am in no way an expert but I want to offer nuggets of advice which I have picked up along the way on areas which I have experienced and had to deal with. Hopefully you'll find this of some use. With the recent recession affecting a lot of people, self-sufficiency is becoming more of a popular thing and keeping chickens can offer a valuable source of food and nutrition whether its from the eggs they produce or the chicken themselves.